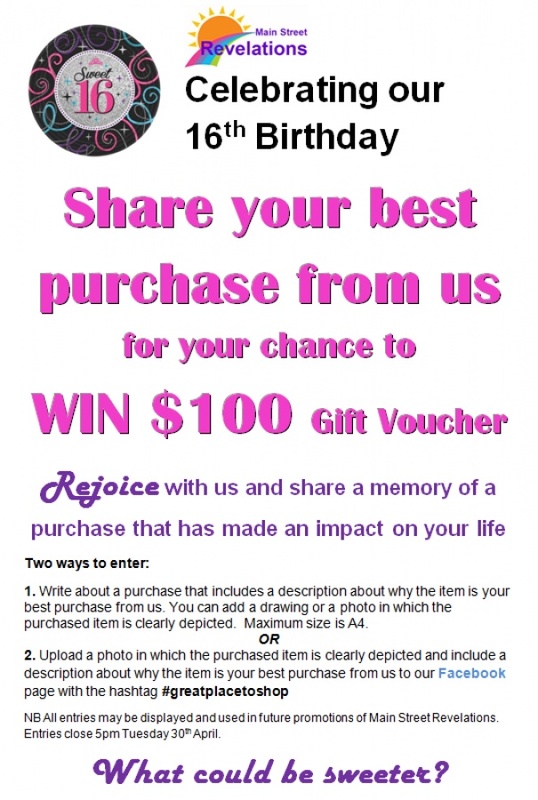 commented on "Share your best purchase from us for your chance to WIN $100 Gift Voucher ..."
1. Write about a purchase that includes a description about why the item is your best purchase from us. You can add a drawing or a photo in which the purchased item is clearly depicted. Maximum size is A4. NB All entries may be displayed and used in future promotions of Main Street Revelations. Entries close 5pm Tuesday 30th April.